Drum Corps International organizations throughout the country stopped what they were doing on Saturday, June 9, to take part in an unprecedented training session underscoring DCI’s renewed focus on participant safety. For the first time time ever, DCI-affiliated organizations from coast to coast simultaneously “hit pause” on their busy preseason rehearsals for an informative and interactive presentation led by DCI legal counsel Julie Miceli. A nationally-recognized subject matter expert, Miceli is a partner with Chicago-based Husch Blackwell, with a practice focused in the firm’s higher education group. 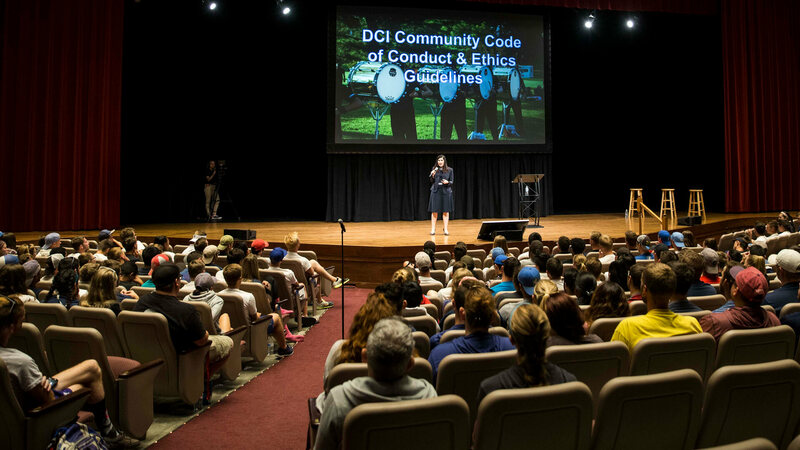 Broadcast live from Indiana Wesleyan University in Marion, the site of Bluecoats’ spring training, Miceli’s presentation, “Mutual Care and Respect: A DCI Community Forum,” engaged performers as well as corps educational and administrative staff members, volunteers, and others in a frank and important discussion. Julie Miceli speaks at Indiana Wesleyan University on Saturday. Miceli’s message to the viewing audience opened by discussing some of the different forms of misconduct and harassment, as well as how those instances can be avoided. 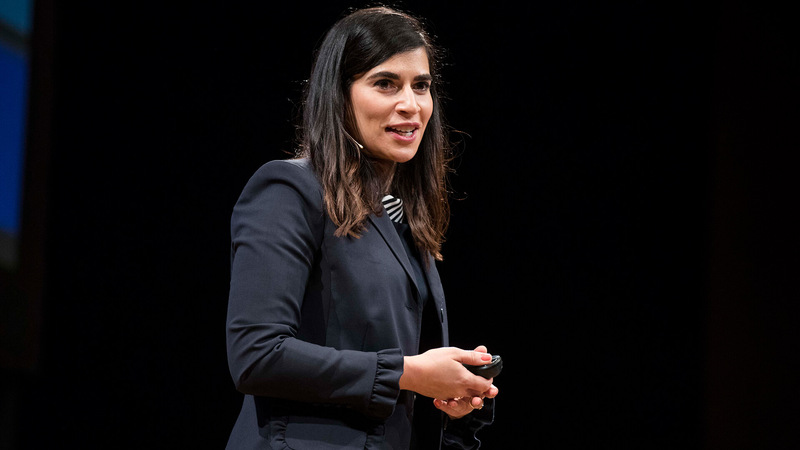 She defined key terms and pointed out “problematic behaviors” that can ultimately breed hostile environments. 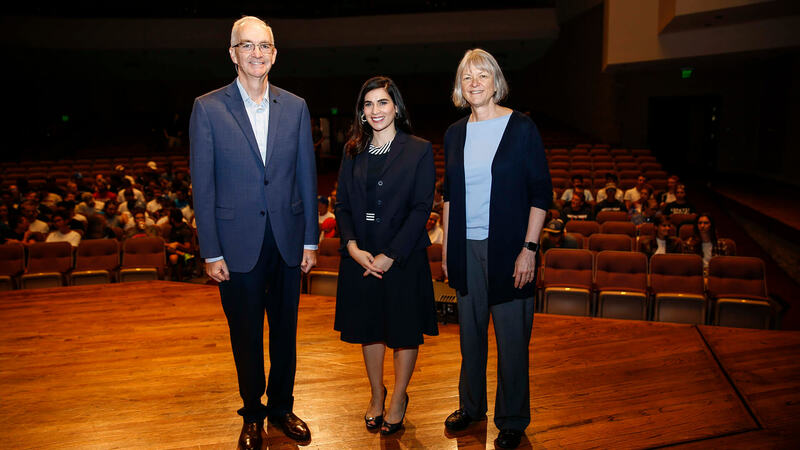 Through text-based polling, participants across the country were able to engage in the conversation, providing their own thoughts on various scenarios presented in the nearly two-hour-long session. Following Miceli’s presentation, viewers in attendance on location and across the country via email were able to submit questions answered by a panel including Miceli, DCI executive director Dan Acheson and DCI board chairperson Kathy Black. In order to provide clarity regarding the ways sexual misconduct can manifest itself, Miceli spelled out the various terms that fall under the umbrella of misconduct, enumerating specific characteristics which define consensual sexual relations. Presenters included DCI executive director Dan Acheson, Hausch Blackwell attorney Julie Miceli, and DCI board chair Kathy Black. Additionally, Miceli detailed the specific guidelines and prohibitions outlined by Drum Corps International in its Community Code of Conduct. The goal of the DCI board of directors in creating this forum was to continue to develop a culture of respect and professionalism throughout all levels of the DCI community; by all accounts, this event was an important next step in the ongoing evolution and deepening of that culture.